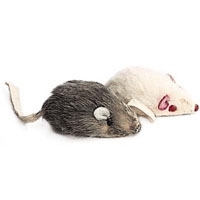 Two classic smooth fur mice with tails that cats love to play with. 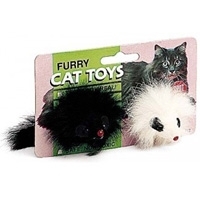 2"
Black & white fur mice are always a hit when entertaining even the most fussy cats. 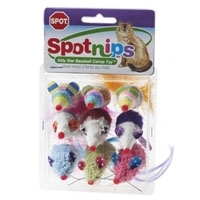 9 pack Mice with catnip in brite rainbow colors. Place on floor for cat. 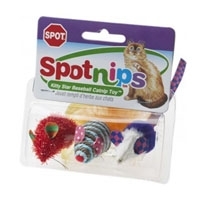 Supervise during playtime. 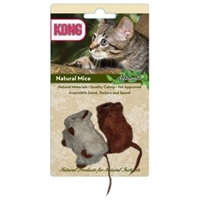 3 pack Mice with catnip in brite rainbow colors. Place on floor for cat. 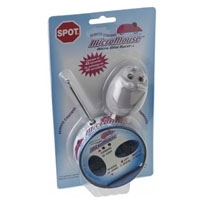 Supervise during playtime. 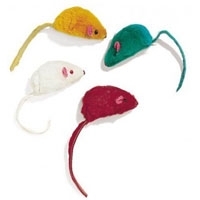 This 4 pack of fur mice are durable, brightly colored and lots of fun.